Submission by E Mails also accepted ! , Free entry for all students !! This quiz contest is open to the Students of Undergraduate Homoeopathy Medical Colleges to improve the student’s knowledge in a lively informal way. Interns are not eligible. 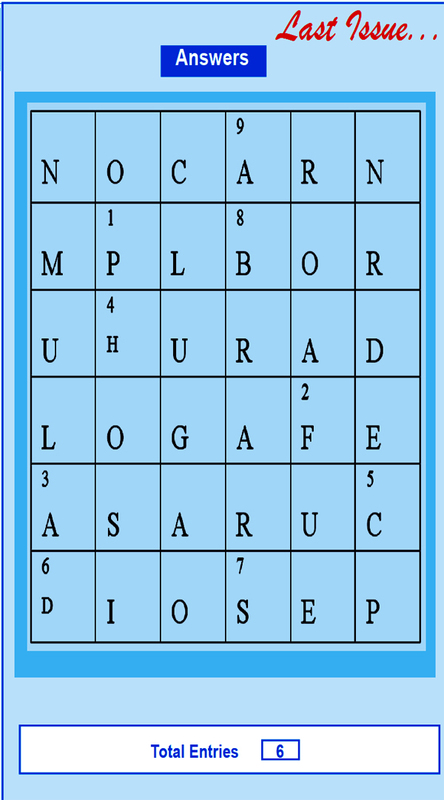 This contest has a Cross word Puzzle. Every month three successful fully complete answers will be awarded with one year free Homoeo Times subscription. On more than three entries first three winners will be decided by lucky draw. The decision of Panel, Editorial Board is final and claims, false entries will be liable to withheld. Fill and send the answers to Medi Quiz “Homoeo Times” # 6, Lloyds II nd Lane, Royapettah, Chennai-600 014. Last Date : 20th of every month. Answers can be mailed at htquiz@gmail.com or can be send by post. Submission of photograph with Identity card is necessary for the first time enrollment.Last Date 20th of every month.